If you're over 50 and looking for work, part-time jobs are a great solution. Learn about the options. This is what to know about part-time jobs for older workers. "Your company won't always take care of you. So you've got to take care of yourself." That sobering advice, from syndicated career advice columnist Jim Pawlak, is hitting home with an increasing number of men and women who were raised to believe that doing a job well translates into a lifetime of comfort but instead find that job security is rare. Unsurprisingly, jobs for older people—workers over 50—are especially being sought out. The good news is that older workers may have fewer financial obligations than younger colleagues. Children are out of college, and homes may be paid for. For these men and women, part-time careers may be an answer, although it will probably mean taking a more junior position, because, as Pawlak notes, there are no part-time positions in management. Part-time jobs for older people are more likely to be lower-level positions in industries like retail and health care. And even for these positions, older workers must still brush up on computer skills and evaluate whether they need to expand their skill sets. 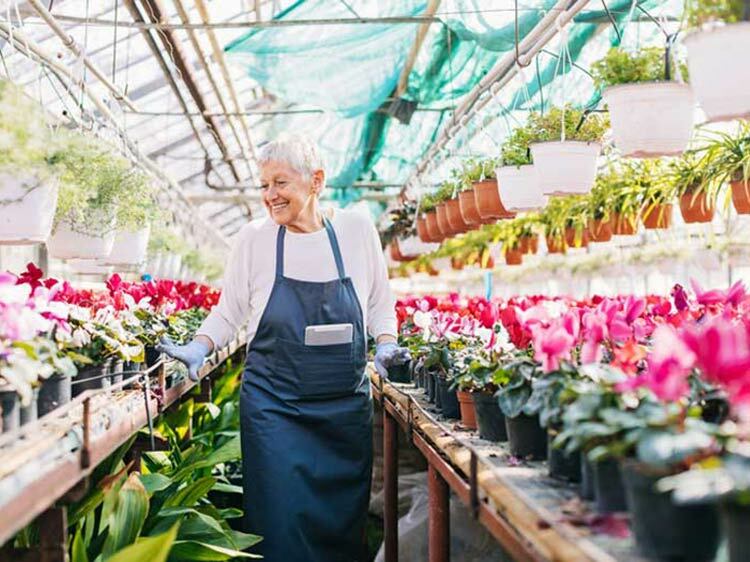 But with a bit of insight and creativity, older workers can land part-time jobs that provide stimulation and challenges—and pay more than minimum wage. Steve Reilly spent three decades in information technology, but when work in that field dried up, he turned to real estate. He enrolled in the necessary courses, researched firms in his area, and sold himself as someone with both technical and organizational skills. "It's different than getting paid for work every day," he says. "But I love the challenge of helping people—not organizations—deal with problems." Michael, who asked that his last name not be used, had to dumb down his resume to get work in a Phoenix frame shop. Thirty years of hiring engineers and running MIS projects priced him out of similar work in a stagnant field flooded with younger, cheaper employees. So he turned to his earlier background as an artist, called himself a high school graduate and landed a job. His hours vary, but he's made himself valuable because he volunteers to work any shift. He's earning less than he once did, but he'll soon be a manager. Dave Harrison and his wife, Marianne, were also looking for work. They weren't laid off, but after retiring in their late 50s and moving to Florida, they wanted to work again. In their new community, they networked and asked everyone they met for advice. They applied for full-time positions. When granted interviews, they offered to work part-time to help prospective employers save money. Eventually, Marianne got her job as an aide in an academic office that way. Dave's job as an assistant in the office of a youth sports organization was advertised as part-time. The key is that "we took jobs where the tasks were less than we could handle, and the pay was less than we hoped to earn," says Dave Harrison. "We knew if we got our foot in the door, we would earn our way to more responsibility and more pay." They set a target of one year to prove to their employers that they could do more than they were hired for and should be compensated accordingly. They proved themselves indispensable. In less than a year, Marianne was managing logistics for a graduate MBA program while her husband became executive director of a 1,200-player program. "No one would hire us part-time at a salary we deserved," he says. "We had to prove our value during the first year, and swallow our pride about wages." Examine all potential job opportunities, full-time and part-time. Give an employer more than expected. Lastly, he stresses the importance of working in a nonbureaucratic environment. "You want a place that is small enough so that one person's efforts can be seen and acknowledged," he says. Could you use some help in the later years of your career? Join Monster for free today. As a member, you can upload up to five versions of your resume and cover letter. Recruiters search Monster every day looking to find people with the work ethic, experience, and skills for top jobs. Get found and get to work.